Here's a quick rundown of the best 4 (plus one of my own = 5) TpT items, in no particular order, for this week. Of course, all items are under $5, as well! With a variety of subjects and a wide range of grades, there just might be something that you can use, so continue to read below and see! 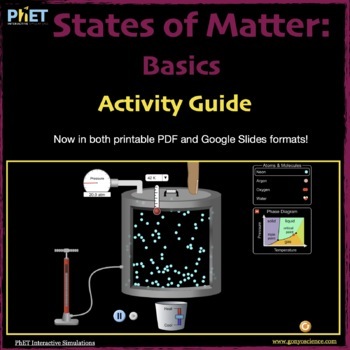 The States of Matter:Basics activity guide is used along with the new HTML5 PhET Simulation "States of Matter: Basics”. Students learn the relationship between temperature and pressure as matter exists as solids, liquids, and gasses. Students go on to explore effects of variations in temperature and pressure of various substances and how that effects phase change. PhET simulations are fun, interactive, research-based simulations of physical phenomena. All PhET simulations are freely available from the PhET website (phet.colorado.edu) and are easy to use and incorporate into the classroom. All HTML5 simulations will work on Mac and PC desktops and notebook computers as well as Chromebook and iPads. 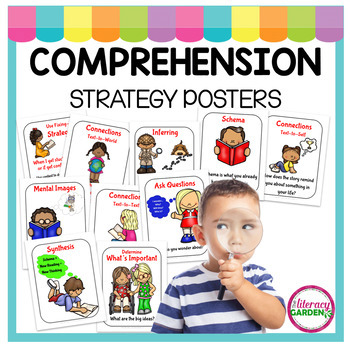 Display these engaging posters as you introduce each comprehension strategy. The posters include a kid-friendly descriptor and multicultural clip art to support the strategy. This set includes 10 great posters, including "creating mental images," "ask questions," "determine what's important," and many more. Click on the link to view the item's page with a more detailed description and a great item preview. 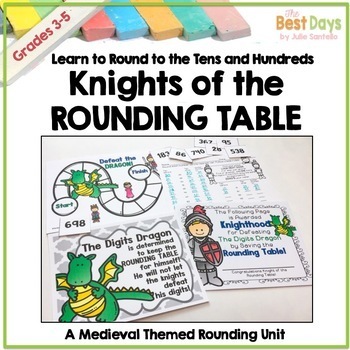 Students will have a blast with this fun Knights and Dragons themed rounding unit! The King has issued a declaration that the Knights MUST save the Rounding Table from the Digits Dragon! Students start as Pages and work their way through the "pages" of rounding activities! The final quest is a fun game called "Defeat the Dragon"! Upon the defeat of the Digits Dragon, students earn an official certificate exclaiming their Knighthood! 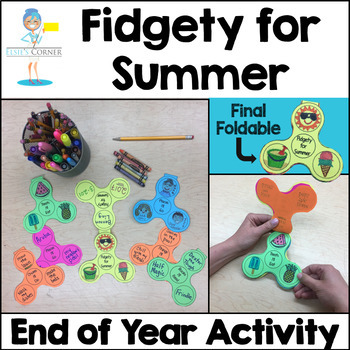 A fun "end of year" activity crafted on a fidget spinner foldable. Students will get to write about the places they'll go this summer, the people they'll see, the chores' they'll do, the treats they'll eat, and the fun they'll have! ... and any other topic you would like them to explore as we include an editable fidget spinner as well. This product makes for a great end of year activity and will forever commemorate the year of the fidget spinner! 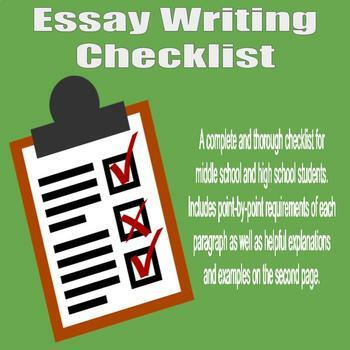 This essay writing checklist is a wonderful tool that can be provided for students to help guide the essay writing process. With point-by-point requirements for all parts of an essay (introduction, body paragraphs, and conclusion), students will be able to track their writing along the way or after the first draft to help with revisions. What makes this product different than the other essay writing checklists on TpT is that there is a second page that provides students with explanations and examples of essay elements, such as thesis statement, topic sentence, introductions to quotes/evidence, and explanations of quotes/evidence. As always, I encourage comments below and any ideas or suggestions by tweeting me @ATeachersTeach.